Venice is one of those cities that do not need additional advertising. Everyone knows that this is an amazing place. Most people dream to see Venice at least once in a lifetime. The beauty of this city has been already known for several centuries. It has almost always been considered a concentration of luxury, beauty, and the inspiration for artists. And though Venice is slowly moving under the water, inch by inch, this only stirs up interest to the city. In order to travel between the islands, you will need a gondola rather than a car. But in the neighborhood of the city, there is a huge number of the most beautiful places that are best viewed if traveling by car. 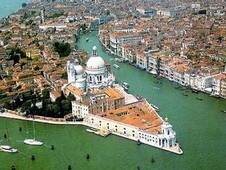 You can get to the city by a car leased in the airport of Venice. Car booking appears to be quite simple with the help of the bookingcar.ru web-site. When getting to the city by a booked car in Venice, you can use one of the express roads. There you can drive with the speed of 130 km/h. But under the condition of bad weather even such road sections have restrictions of 90 km/h. The passenger cars can move with the speed of 50 km/h inside the built-up areas, 90 km/h outside of settlements and cities. If you are planning to have a walk along this beautiful city on water, you will have to leave your car somewhere in the neighboring area. In the suburbs of Venice, there is a couple of small car parks and one multistoried parking. The parking cost is 21-38 Euros per day, without any time limits. After leaving your car in a parking zone, you should better write down the number of the parking lot and floor. Otherwise, you are at a risk of getting lost. It is also possible to fine a cheaper parking alternative, but then you will need to leave your car far away from Venice, for example, somewhere in the town of Mestre. The blue zone is fee-based. You should either put a paid ticket under the windscreen or set the payment time on a parking disk. Such discs can be purchased in banks, stalls, post offices, and travelling agencies. The yellow zone is intended for people with disabilities and drivers of delivering cars. The white parking is free of charge. There are even pink parking zones, which are intended exclusively for pregnant women. Each country assesses the permitted blood alcohol content level in its own way. Upon your arrival to Venice, you should know that the alcohol content limit here is permitted not higher than 0,5 ‰. If this level is exceeded, you should pay a penalty. In some cases the police have a right to deprive a driver’s license or seize the car. The extreme penalty is the imprisonment for the term of 6 months to 1 year. The leaded petrol is not sold in this country. But if there is such a wish, you can take a small amount of fuel with you. It is allowed to transport no more than 10 liters. All the express motorways in Italy are fee-based. But it does not mean that you have no choice. You can drive along the free of charge roads. They are regulated by more severe speed limits and have the lower quality standard. на них действуют более жесткие ограничения скорости, да и качество таких путей намного хуже. Therefore, if planning a long way trip, it is better to fork out. The toll amount depends on the car and road section. All these should be multiplied by the covered distance. Some tourists are difficult to comprehend which lane to occupy before entering the trunk highway, as there is a a lot of them there. It all depends on the payment method you are going to use. There are special zones for paying by credit cards, cash or road cheques. The yellow zone suites for rented cars because there you can pay through the Telepass electronic system. If you decide to save some funds and ignore toll payment, you will be assigned a penalty of 300 Euro and more. So, it is better to safe the payment ticket for the whole period of driving through this road section.